At one time or another we have a clogged drain. The products that we use to unclog our drain usually smell terrible and are potentially harmful but at that point it is the only solution. How would you like a product that is environmentally safe? Your drain becomes clogged so you grab the first drain cleaner to free the clog. Did you know that these brands that you purchase at the store don’t totally clear your drain? These products only clear the drain enough to allow water to flow through it again. You also have to wait a specific amount of time before you can use your drain again. So in reality they don’t work effectively. After you have tried the store bought drain cleaners and found they haven’t cleared your drain now you will have to call a plumber. Instead of spending the money on a plumber to fix your clogged drain you could do it yourself with BioSmart Drain Maid. This product is safe to put in your cats litter box. BioSmart is safe enough to use on all types of clogs and in all different areas. 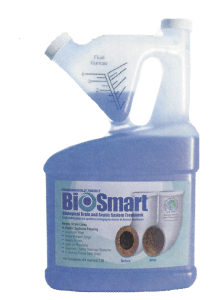 When you use BioSmart on a once a month basis you will find that your pipes becoming clogged will be an issue you won’t have to worry about anymore. Another problem you could run into is if you purchase the wrong type of drain cleaner. There are some drain cleaners that will only clear specific types of clogs. BioSmart will work on all types of clogs. You also take a chance, when you purchase the store bought drain cleaners, of ruining your pipes. Those types of drain cleaners can cause your plastic pipes to soften. When you purchase BioSmart Drain Maid you will have the knowledge that you are purchasing a product which is environmentally safe. When your drain becomes clogged you put a whole cup of BioSmart in the clogged drain. This product is so easy to use and it begins to work immediately on the clogged drain. By using a half a cup every month on your drains you will find that it will help with eliminating your drains from becoming clogged. By purchasing BioSmart Drain Maid you will know that you have purchased a product that is safe for the environment and your pipes. You will save money also because BioSmart will save on visits from the plumber. 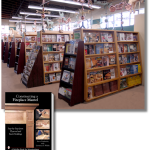 Bathroom Remodeling Books: Are They Worth The Buy? 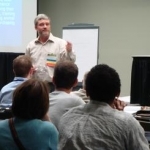 Bathroom Remodeling Classes: Are They Worth the Money?